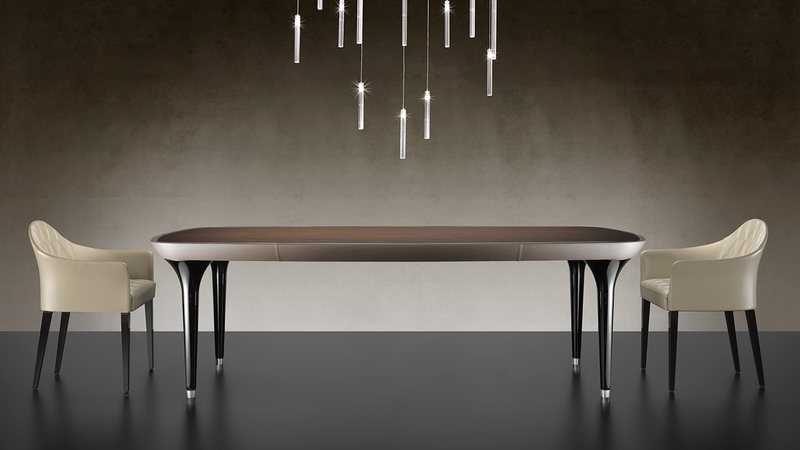 DINING TABLE WITH 4 LEGS IN BLACK MURANO GLASS WITH GLAZED METAL FEET. WOODEN TOP 80MM TH. WITH INTERCHANGEABLE INSERT 20MM TH. IN CANALETTO WALNUT OR ETCHED LACQUERED GLASS, STANDARD COLORS. EDGES COVERED IN CAT. C OR DUNE LEATHER.